What's the difference between an MTF and an ECN? MTFs (Multilateral Trading Facilities) are a MIFID Europe concept, defined as "a multilateral system, operated by an investment firm or a market operator, which brings together multiple third-party buying and selling interests in financial instruments - in the system and in accordance with non-discretionary rules - in a way that results in a contract in accordance with the provisions of Title II of MiFID." This broadly fits with the SEC's definition of an exhange, which is "any organization, association, or group of persons that: (1) brings together the orders of multiple buyers and sellers; and (2) uses established, non-discretionary methods (whether by providing a trading facility or by setting rules) under which such orders interact with each other, and the buyers and sellers entering such orders agree to the terms of a trade. ", and some business such as BATS are listed regulated as an MTF in Europe and an Exchange in the USA. Having said that, you'll find a lot of literature that consider and ECN and an MTF to be equivalent. 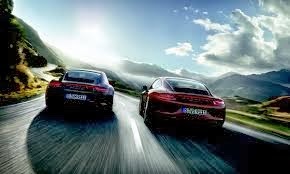 So what's the practical difference? 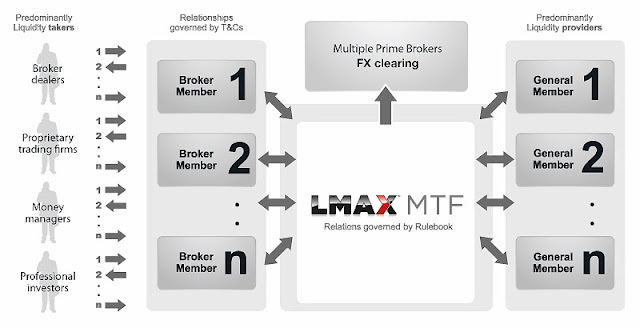 LMAX runs a single order book with binding orders. There's no last look by price providers, no opporunity to re-quote, and no routing around a network of possible counterparties to find a price. As a result a customers ability to hit an advertised price is only constrained by competition and the laws of physics, offering reliable and consistent order execution. 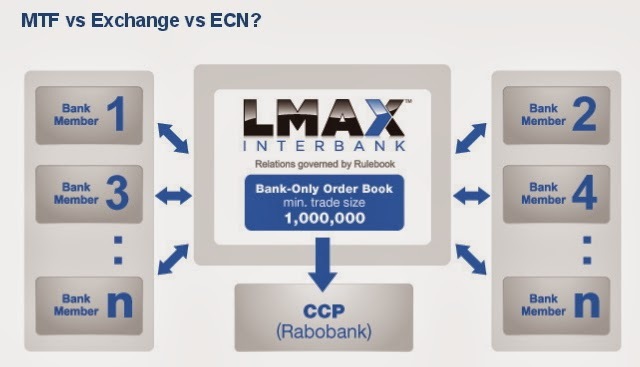 There's nothing to stop an ECN from operating in the exactly same way as LMAX, but many ECNs do offer price routing, last look etc, adding a degree of unpredictability to order execution. The regulatory constraints on an ECN are also less clear because it depends on what exemptions they've agreed and what level of market share they've acquired. There's much less negotiation around the regulatory requirements for an MTF.